In recent years, Ruby on Rails has become one of the most popular frameworks for web-app development. BaseRails teaches it from the ground up, using projects to give you hands-on practice. 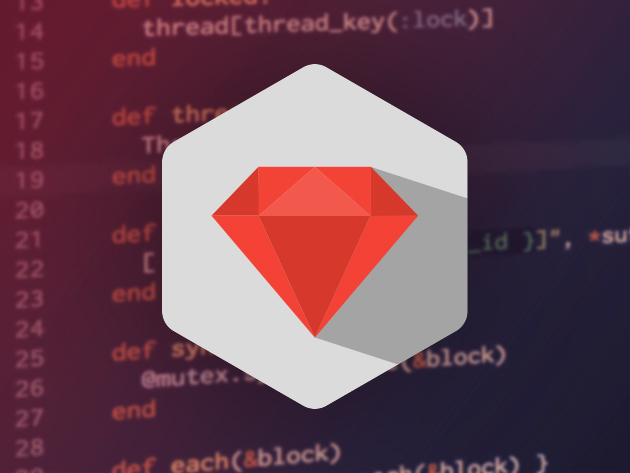 Over seven courses, you learn first the fundamentals, and then the more advanced end of coding with Ruby. Along the way, you are given guided assignments, such as building a web scraper to collect data, or a restaurant review site. These projects require you to apply the skills you have learned in the video tutorials, and they make perfect additions to your development portfolio. As you improve, you learn how to customize these apps, use APIs to gather data, and how to launch your own apps with Heroku. In total, it is over 30 hours of content, with new tutorials being added all the time, and great support. Right now, you can get a two-year subscription to BaseRails for $29, which is 92 percent off the standard price. Bonus Deal: Get 100 audio and ebook summaries with The New York Times Best Seller Audio and eBook Summary bundle, now 87 percent off!